When a member of Ubar puts out the call for assistance, the Prophets of the Grotto are quick to respond. This was the case when Pro. Chris Gibson put out the call for assistance at his Royal Arch Chapter, where he is serving as Most Excellent High Priest. His Chapter needed some help with the conferral of the Degrees and Ubar didn’t fail to respond! On Thursday, June 19, 2014, several members of Ubar Grotto attended Chapter No. 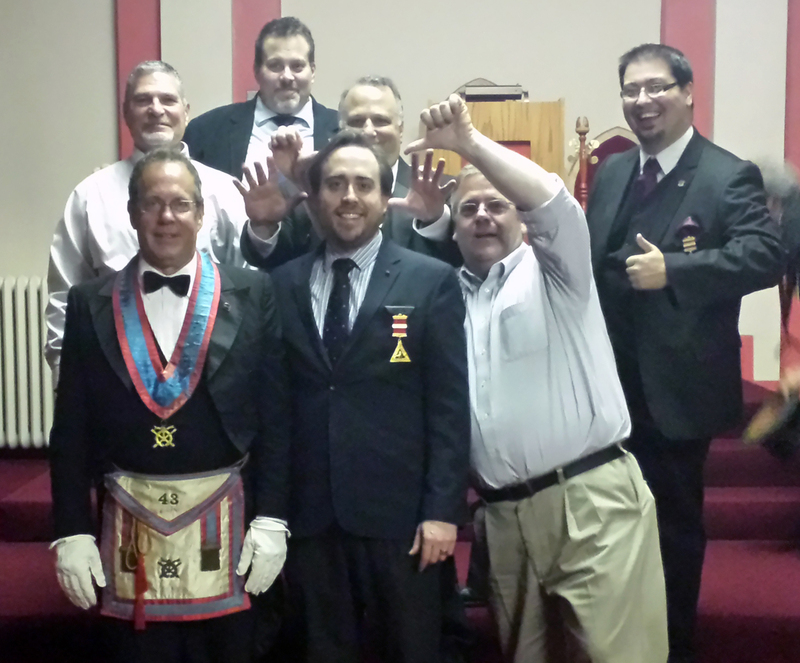 43, Royal Arch Masons, meeting in Lancaster, PA. The group assisted in the conferral of the Mark Master Mason Degree and the Most Excellent Master Mason Degree upon three candidates (of which one is a member of Ubar and the other is a candidate.) Assistance was provided by Pro. George Hindson, PM, as Senior Overseer; Pro. Seth Anthony, PM, as Senior Master of Ceremonies; and Pro. Pete Ruggieri, Master of Ceremonies, as Pursuivant. Of course, Pro. Gibson was in attendance with his officers, which also included Pro. Mike Riggi, who acted as Junior Master of Ceremonies for the evening. Congratulations are also due to Pro. Jack Harley and (soon to be Pro.) John Morris, who received the degrees. As the meeting finished, Pro. Anthony remarked to the members present just how unique this occasion was. It was 128 years ago, when after a meeting of Cyrus Chapter No. 50, Royal Arch Masons, seventeen members planned for conferring the Royal Arch Degree. This evolved into monthly meetings. These monthly meetings would turn into the Grotto, the organization we love today. Thank you to the Companions of Chapter No. 43 for their warm welcome and Ubar looks forward to returning this Fall for the Royal Arch Degree.